The sit-to-stand workstation is becoming an increasingly popular option among business professionals wanting to decrease the amount of time they sit at their desks. Providing this option can be affordable when you shop Office Furniture Center for pre-owned workstations. Our sit-to-stand workstation inventory includes leading brands, with stations in like-new condition. Shop now! Why Choose the Sit-to-Stand Workstation? Ever sit at a desk too long and your back starts to hurt and you get a little antsy? 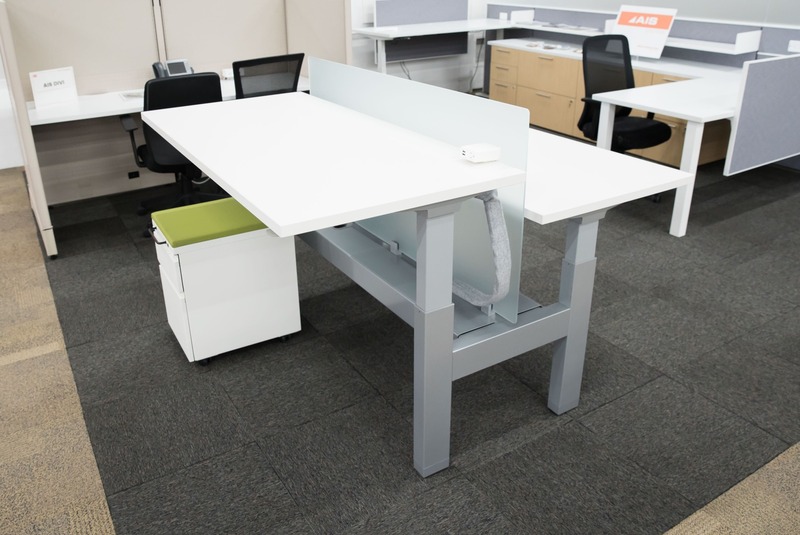 The sit-to-stand workstation helps alleviate these issues by allowing users to quickly and easily lift their workstation from the sitting position to the standing position. Employees can adjust as they wish to a height that is comfortable. This gives them greater control over their workstations and allows them to move around a bit while maintaining productivity. Find the perfect sit-to-stand workstation for your office? Great! We’ll have it delivered to you as quickly as possible. We offer shipping throughout the United States, and because we’re in Chicago which is centrally located within the U.S., customers benefit from delivery that’s not only quick, but also economical. Let’s Create a Better Work Space. Give us a call at 844.630.DESK or send us a message, and we’ll help you create the ideal workspace--starting with the sit-to-stand workstation. Prefer to chat in person? Stop by our showroom located at 5000 W. Roosevelt Road in Chicago. We can’t wait to help you.